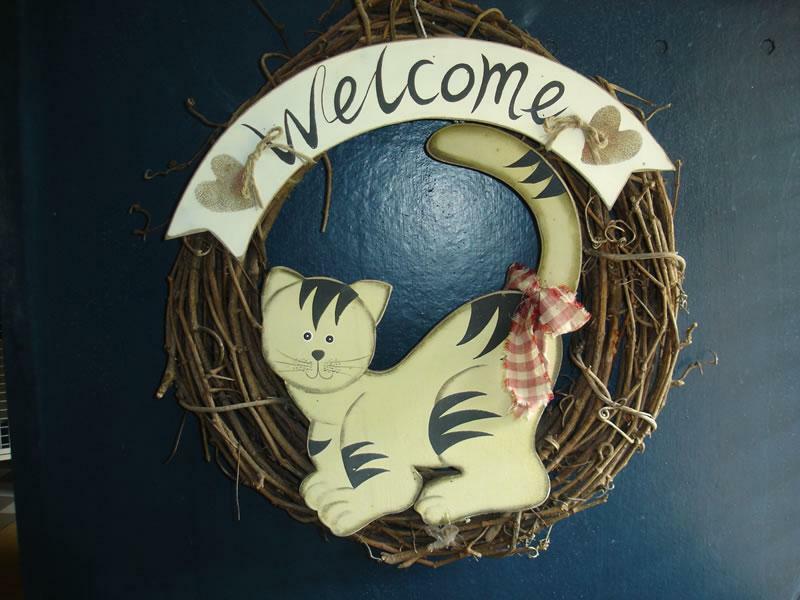 Leave without worry, we will always be there to take care of your cat. 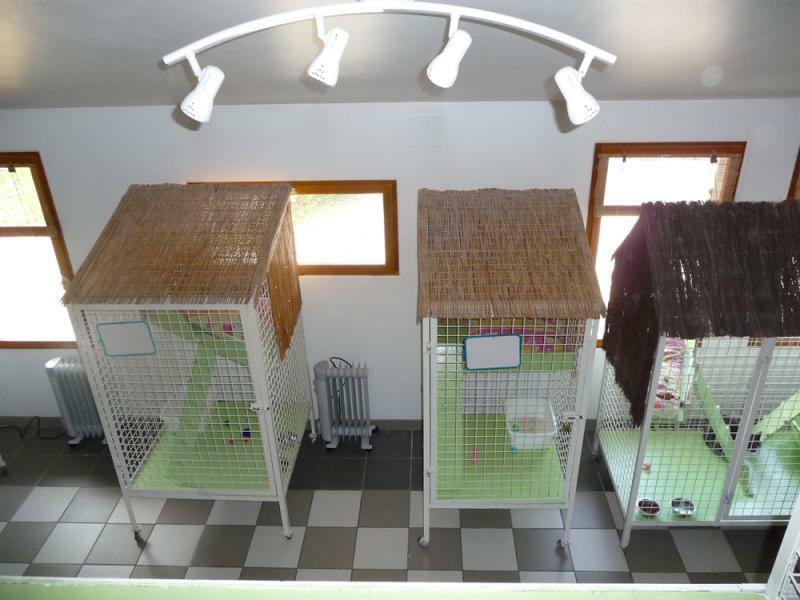 Discover on line the pension for cats that will accommodate your pet in the best conditions in reading all the practical information and watching the pictures. 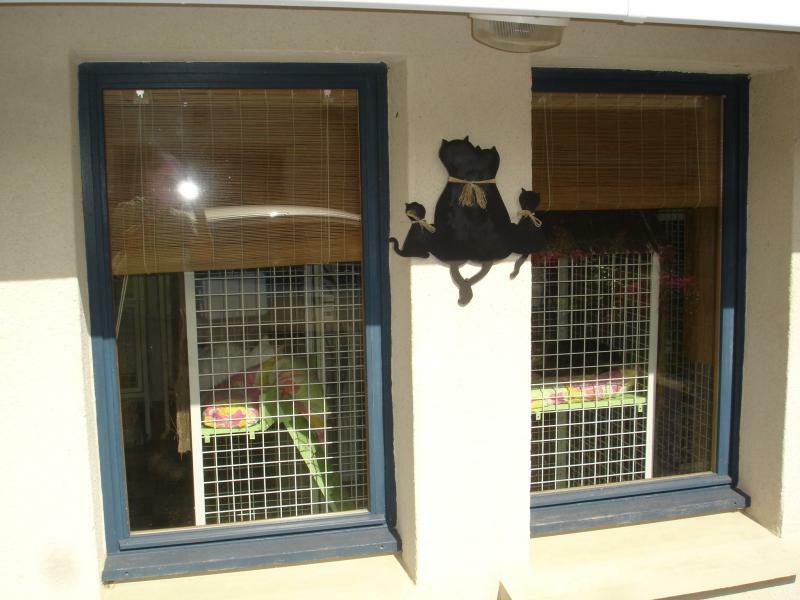 At a few kms from Calais (62) , the rural pension for cats has now been in service for more than 15 years. 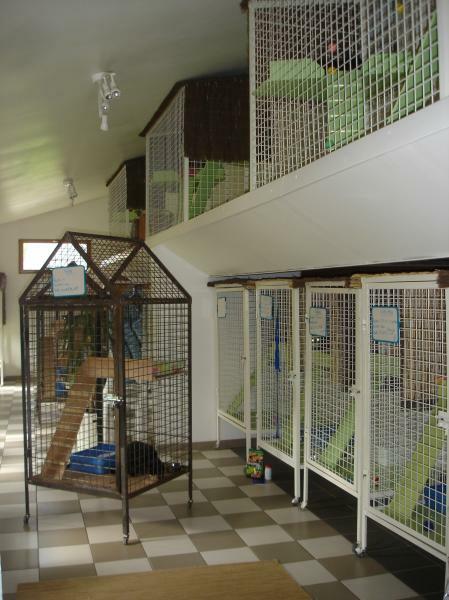 Your pet will be welcomed and accommodated there in the best conditions of cleanness and comfort. 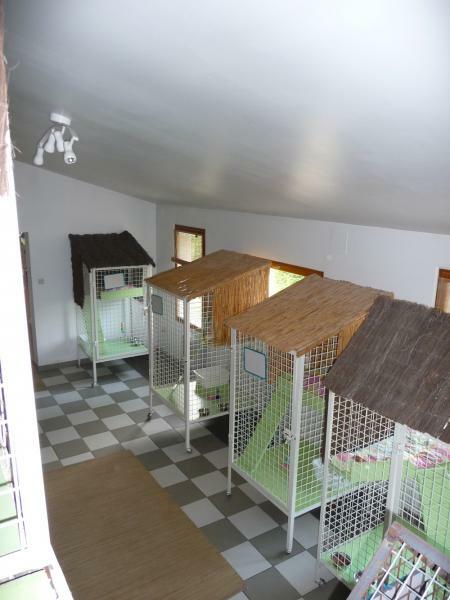 The cattery is organised in several individual small chalets with wire fencing. 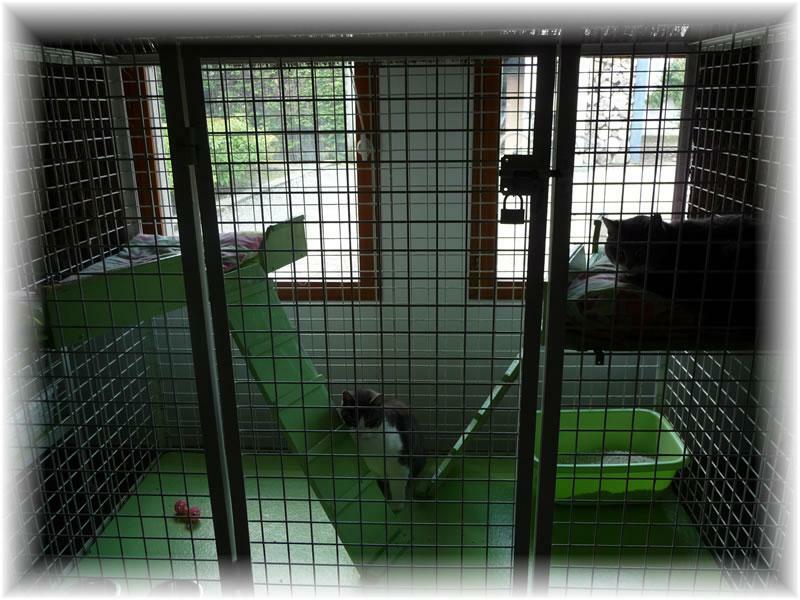 They are all equipped at the ground level with a litter tray, with 2 bowls and with a few small toys. 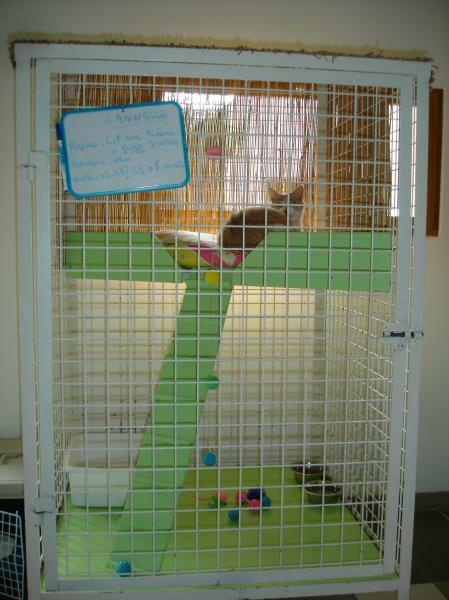 By using the available ladder your cat may access to the first floor where he will have the possibility to relax on his cushion. 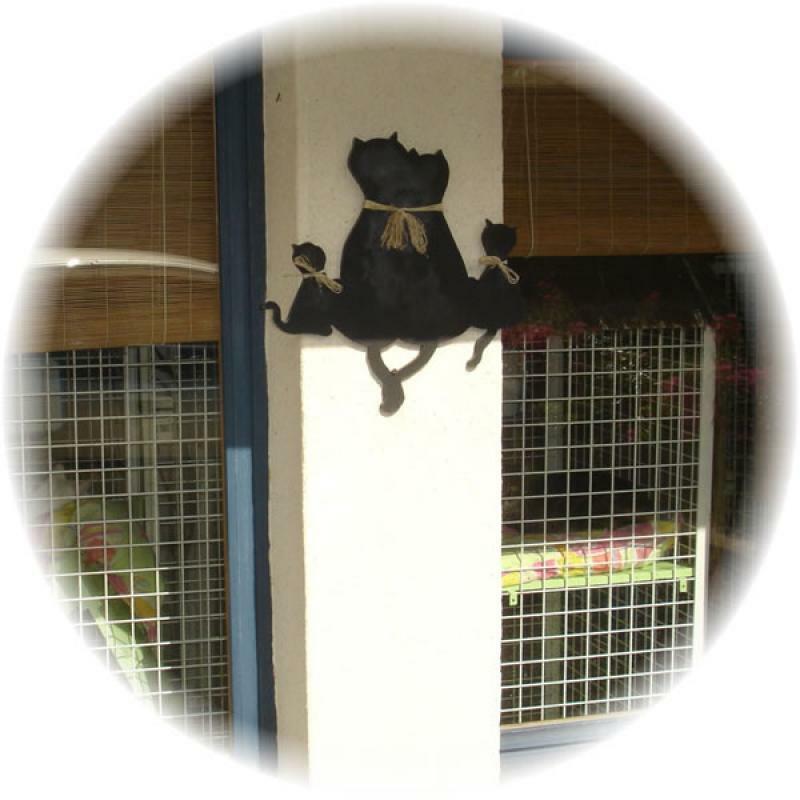 Each guest cat may have his personalized food (à la carte); we propose to give him the food that you are used to give him. Should your cat eat a special vet food, it will be at your charge and it must be brought on the day of arrival of your cat. Regarding your cat’s health, for the well-being of his other companions, it is requested that your cat has had most of the mandatory vaccinations. 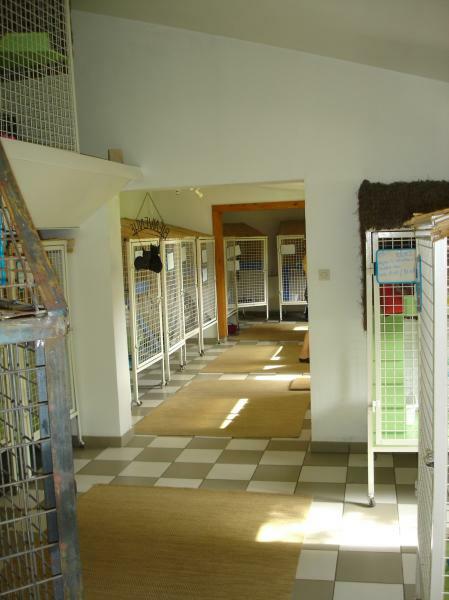 The cattery is heated in winter depending of the outside temperature: an additional comfort for your pet. 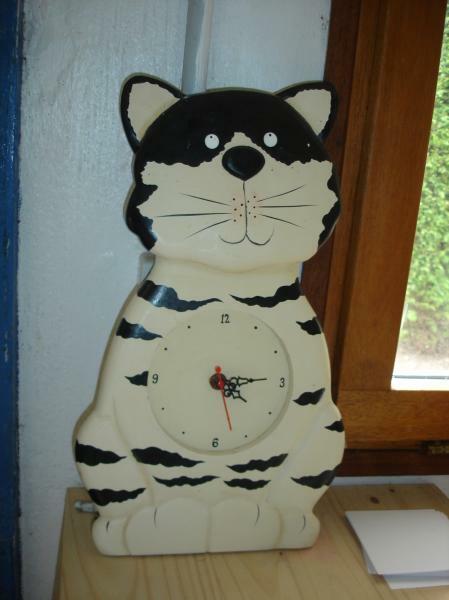 The rate for one cat is 11,00 € per day. For a stay longer than one week, the reservation becomes effective at reception of the down payment equivalent to the half of the full stay. The down payments are nor refundable. The day of admission is payable fully; the day of leave is not. 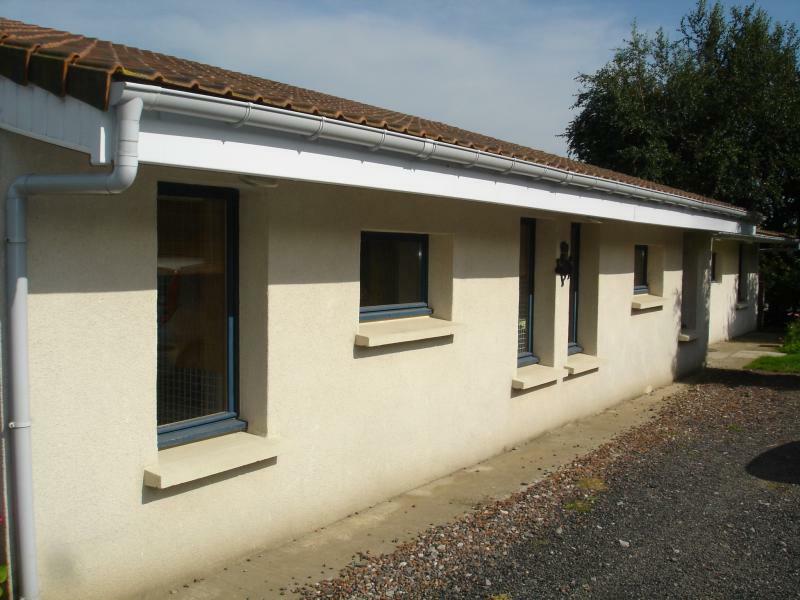 Do not hesitate to visit us! See you very soon. 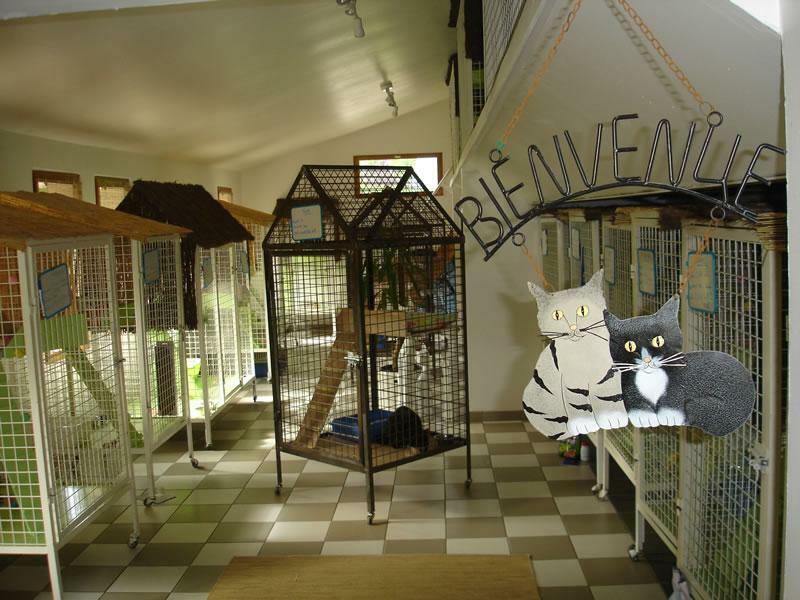 Pictures of the Pension for cats "Campagne and Compagnie"